Get your copy now – while they last ! 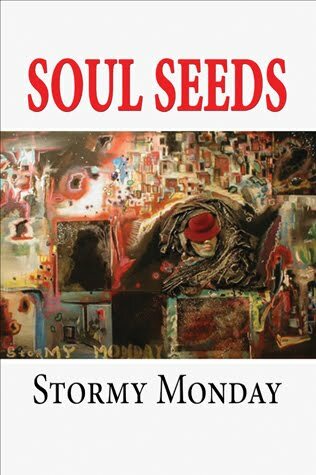 Purchase Soul Seeds HERE 186 pages of reading pleasure from this visionary artist you wont be ale to put down until you have finished it! 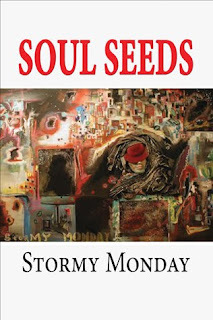 Following his highly successful book, The Secret Path, Stormy Monday has wowed us again with another great book titled Soul Seeds. Stormy Monday was born on February 7th in Manchester, Tennessee. His childhood writing and drawing grew into the 80’s and 90’s, when Monday’s tilted view of the world could be found in galleries across Western and Southwestern America. 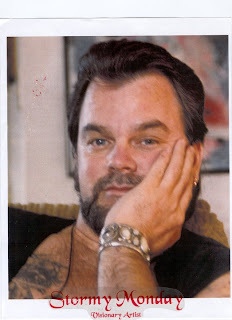 In those early years, Monday painted, performed poetry and sold work on every gallery from Laguna Beach to Ocean Beach in San Diego. His style is singular. On canvas, Monday speaks his own language. His abstract depth coupled with his line and textures separate and define his individuality. His work leans toward surrealism and his finished canvas is both breath- taking and poetic. Monday’s subliminal themes envelop you in color and surprise you as the mystical faces suddenly appear throughout his many pieces. In 2010, his painting, Mardi Gras, landed in the top 5 Winners Circle in the Next American Master Artist competition. With thousands of entries from around the globe and the world at large voting, that’s an impressive finish and a testament to his fast growing legion of fans. Monday is also an award-winning poet. He continues to paint, write and inspire. His books include, “The Secret Path” and “Soul Seeds…for your Gardens in Life”, which is a collection of his mind teasing paintings and soul searching poetry. In mid 2011, look for his autobiography, “Standing in the Storm”.